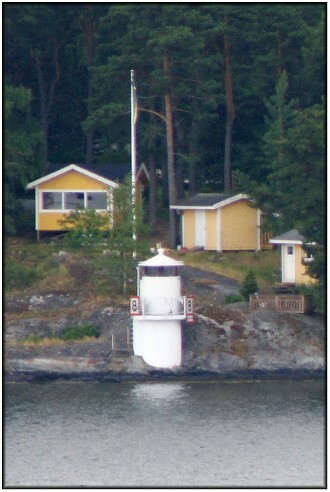 This light is located on the north side of the small island of Kungsborg about 13 miles out of Stockholm. 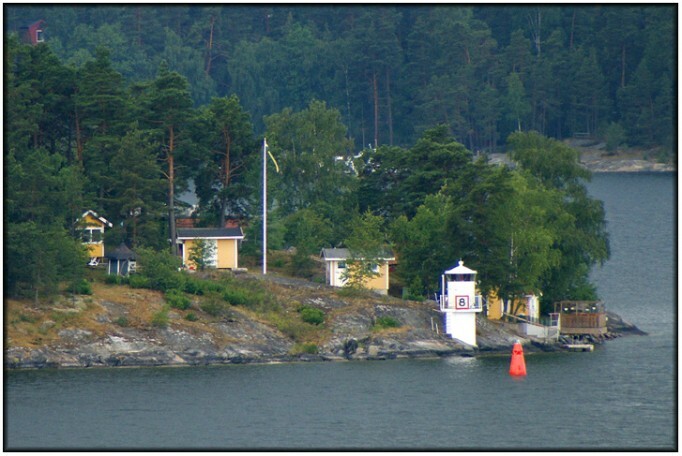 Although the date of the present light is not known, a light station was established on the site as early as 1894. The light was particularly difficult to photograph are there are numerous small islands in the area one of which always seemed to be blocking the view. In the end I managed to get only two clear lines of sight resulting in the two images on this page. The photograph below shows the wider view with a few more of the surrounding buildings visible.